Kriegar Gentleman Abalone Razor Folding Knife | BUDK.com - Knives & Swords At The Lowest Prices! 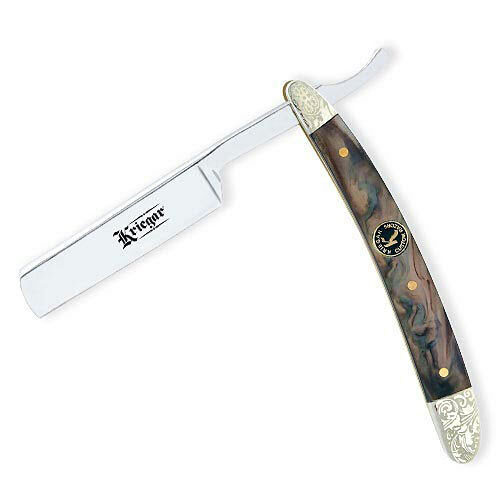 This stylish Kriegar straight razor offers a solid stainless steel 2" blade with a mirror finish. The handsome abalone handle and brass-plated scrollwork bolsters add an elegant touch to each knife. 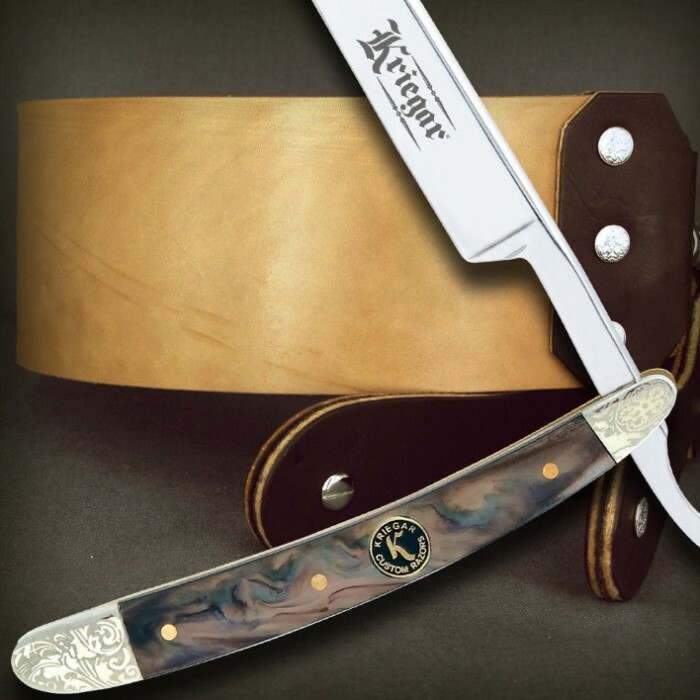 Classic German styling can be found in every hand-crafted Kriegar razor. Good straight razor. Nicely made and excellent tolerances. I am very happy with this item. a little smaller than I thought it would be, still nice and really good looking. When the knife arrived i was pretty disappointed. The length of the blade is only two inches and it wasn't very sharp.